SUPERCARS has sent data to engineering specialists in the UK to help analyse to determine if the new Mustang has a performance advantage after its rampaging start to the year. After a clean sweep of the opening six races of the season, the parity debate has erupted again as rival teams question whether the new two-door Ford machine has an unfair edge. 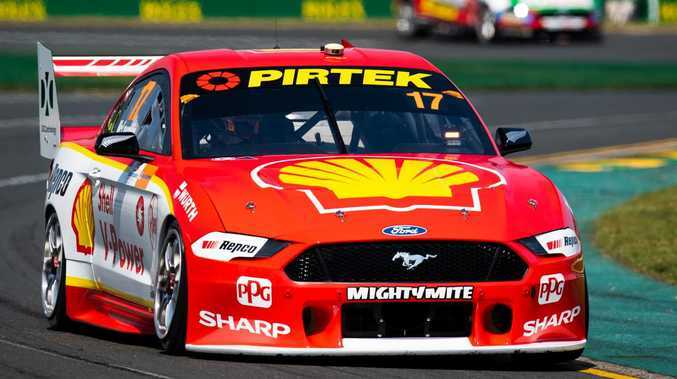 DJR Team Penske's defending champion Scott McLaughlin claimed another three victories and Tickford Racing's Chaz Mostert one as the Mustang smashed its rivals at Albert Park. In response, Supercars technical officials have conducted centre-of-gravity testing on 10 cars - Mustangs, Commodores and Nissan Altimas - at Kelly Racing headquarters this week. The Supercars technical team is now scrutinising the findings, while D2H Engineering group - who have experience from Formula One, NASCAR, Indy car and Olympic Sports - in the UK will also help with the analysis. 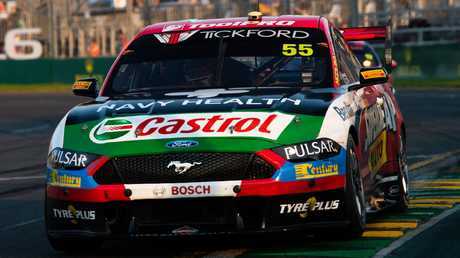 Supercars are trying to ascertain if there is a major imbalance in the new Mustang's centre-of-gravity compared to the Holden and Nissan and whether this gives it an unfair advantage. The category's head of motorsport Adrian Burgess said Supercars would act if any issues with the Mustang were found. "There are well defined processes, mechanisms and resources in place to manage the category and ensure equitable competition," Burgess said. "A wide range of data and information has and is being collected and will be thoroughly analysed. If an issue is identified, it will be addressed accordingly". The Holden ZB Commodore faced its own scrutiny and testing at the start of last season after it won seven of the first eight races of the year, but lost the championship to Ford. The composite panels of the ZB were deemed an advantage and the Ford and Nissan entries were subsequently permitted to use lighter bonnets and roofs.